Hello World…. Do you know what this week is?! 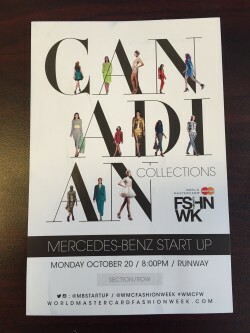 World MasterCard Fashion Week Toronto!!! Going to these SS15 runway shows and seeing these amazing designers is nothing but a dream come true! Yesterday was day one, walking into the first tented room blows you away. A lit up Canadian Collections sign along with crystal chandeliers you would only expect to see in a castle. I had the amazing opportunity to be invited to the Mercedes Benz Start Up runway show featuring six talented Canadian designers.The winner would have the honour of being mentored by the judges, featured in FASHION Magazine for their FW15 collection, and a $30,000 bursary. 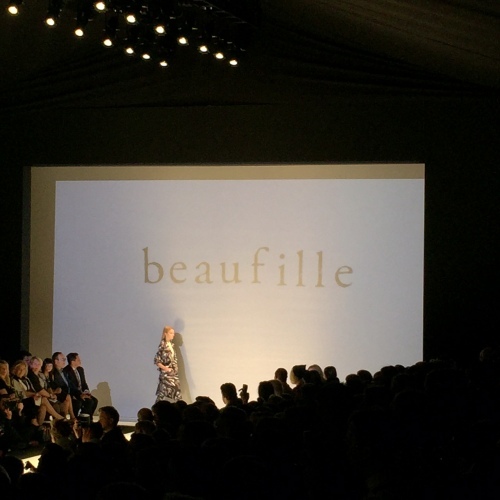 First to walk down the runway was the stunning collection by Beaufille, founded by sisters Chloe and Parris Gordon, the collection was full of neutral colours and lots of patterns. 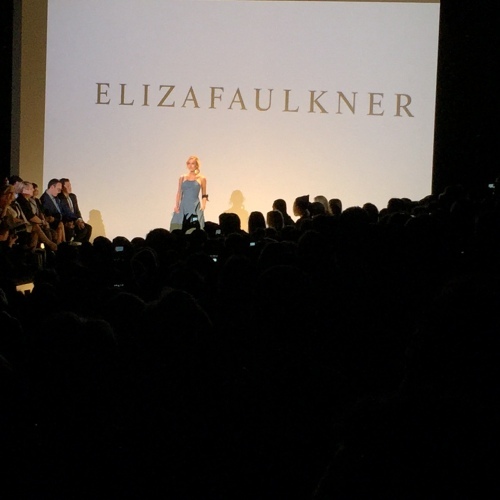 Vancouver based designer Eliza Faulkner was next up, her collection can be worn anywhere and anytime with a very contemporary feel, and that’s what I adored about it. Not to mention, the song of choice (Drinking in LA- Bran Van 3000) was the perfect pick and really got the crowd going. 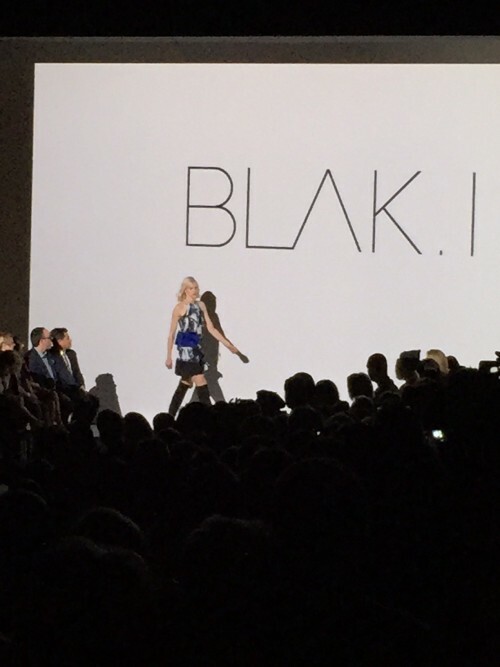 BLAK.I founders Helder Aguiar and Diego Fuchs did a great job at blowing me away with their patterns and touches of royal blue. This dress in particular just confirmed how talented these two are and how badly I need this in my closet- LIKE NOW! 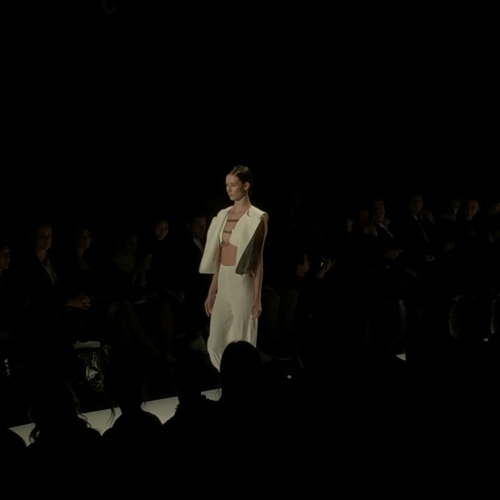 VAIKEN was up next and I could not have been more excited to what Montreal born designer Valerie Tolila had in store for SS15!This classic white look with gold detailing was a jaw dropper, and the classiness of the whole collection really brought out her true talent. I am so happy she has decided to start her own line and I have a feeling we’re going to be seeing VAIKEN everywhere. It’s difficult to decide on a favourite piece from the collection, it’s more like I would want one of each. Her collection was really unique and brought something new and fresh to the table. 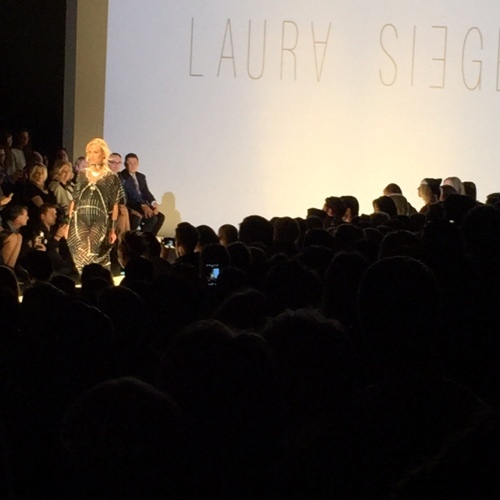 Strutting her collection down the runway next was the wonderful Laura Siegel, based out of Toronto and New York (somebody please help me move there!). The patterns and lines were gorgeous and the models finished off their looks with a thick gold choker necklaces, making them look like a Greek goddess, and the perfect accessory to make the look stand out that much more. 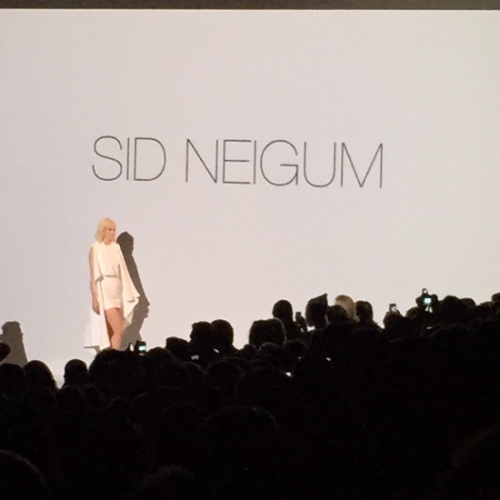 Last but definitely not least was Sid Neigum, the winner of Toronto Fashion Incubator’s New Labels Award in 2012 and “wow” is all I have to say. Flirty and fun is how I would describe it, but what really won a place in everyone’s heart was all the detail in his looks. You could not wait for the next look to walk down the runway and see what else Sid Neigum had up his sleeves. Whatever it was you knew you were going to be in for a treat….. If you want to know who the winner was scroll down a bit! While every one of these designers were talented as ever…like they say “there can only be one winner.” And the winner is…… SID NEIGUM! So congrats to him on his SS15 collection. Please make sure you click the links below and check out every one of these talented Canadian designers and we can’t wait to see where they are going to pop up next! I will make sure to let them know if they ever need a model, I am totally willing! Thanks so much for inviting me to this show with you. I had an absolute, amazing time! !